We make our customers workplace safer and more efficient with the transformative power of automation. 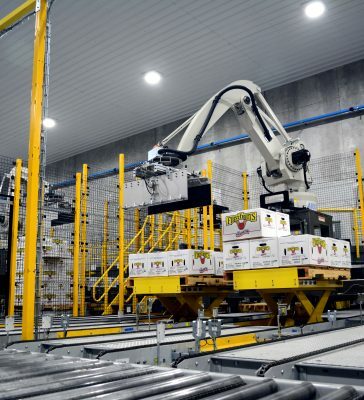 Our robotic palletizing systems offer maximum flexibility for almost any application. Unique Product? Let our team help you find the best solution to palletize your product. It is our mission to keep your plant running at peak performance. Send us your product, and we will prove we can stack it. With multi-line capabilities, our demo system can handle any product.